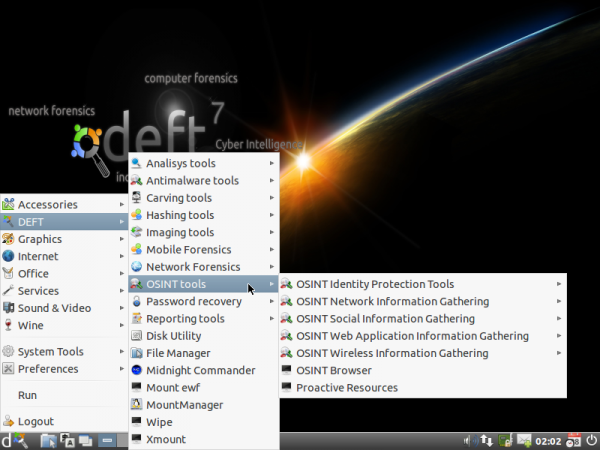 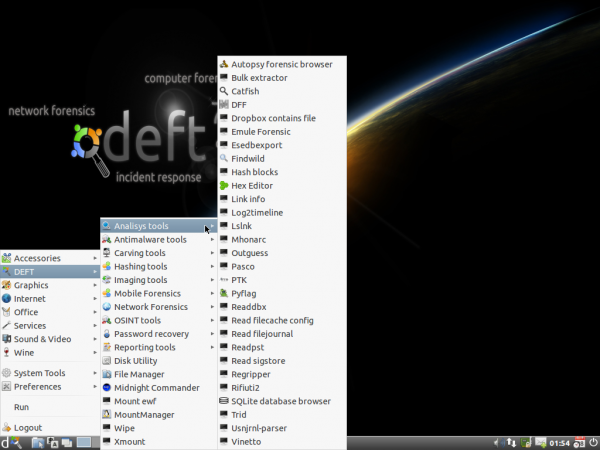 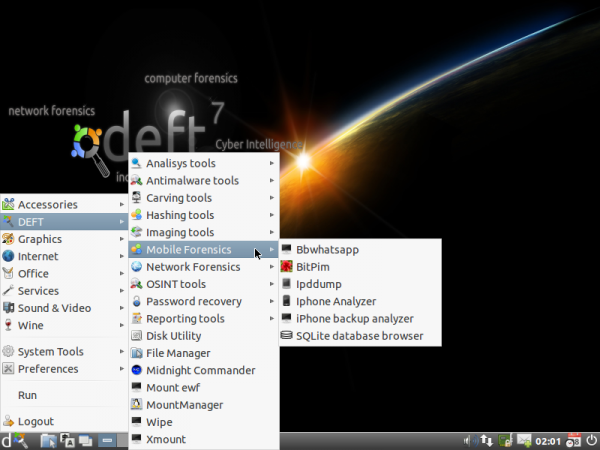 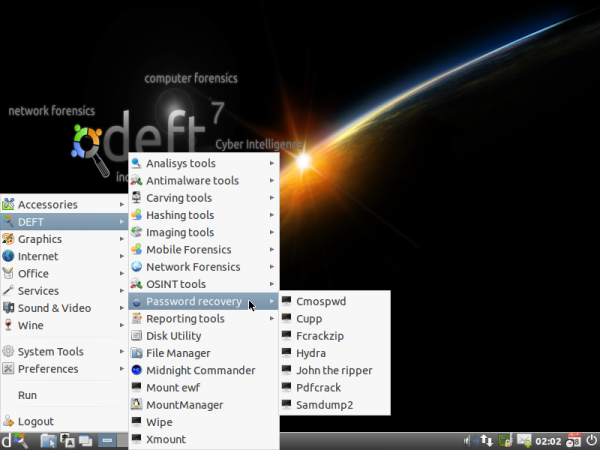 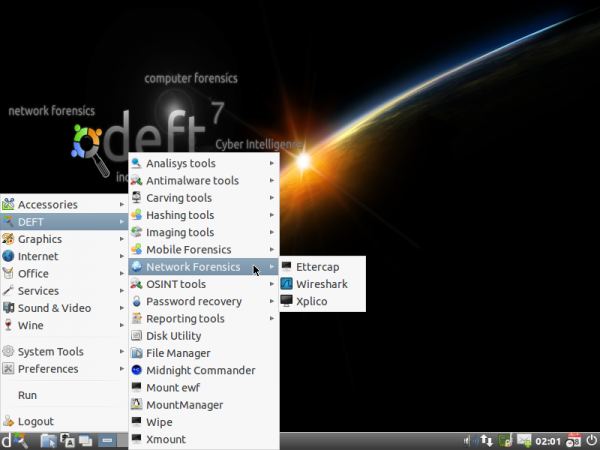 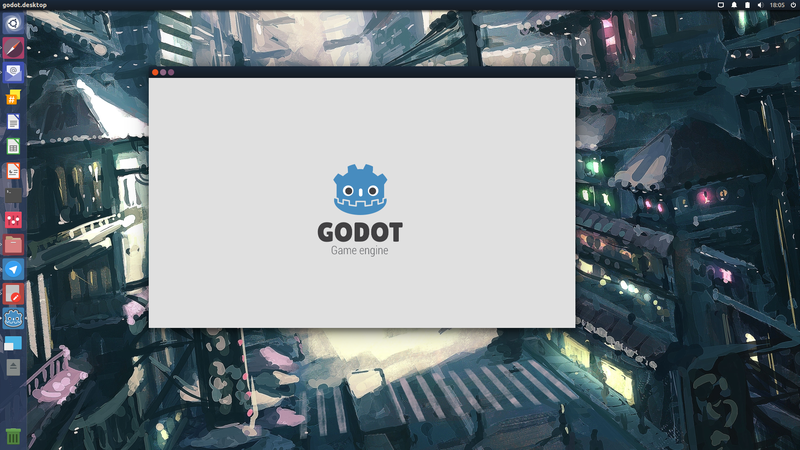 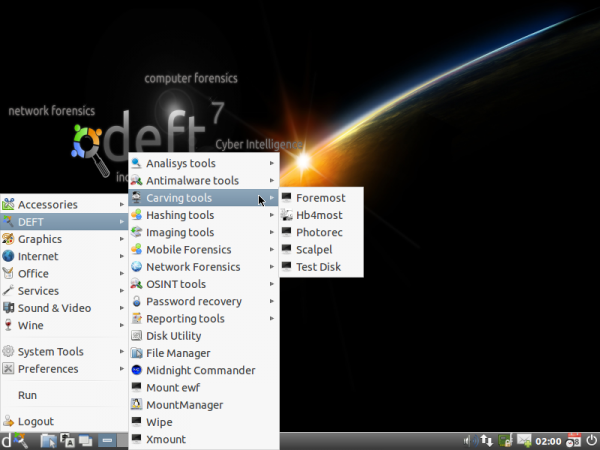 DEFT is a Linux distribution that is based on Lubuntu, itself based on Ubuntu Desktop, and loaded with the “best free and open source applications dedicated to incident response, cyber intelligence, computer forensics” and designed for use by the military, law enforcement, private security professional and IT auditors. 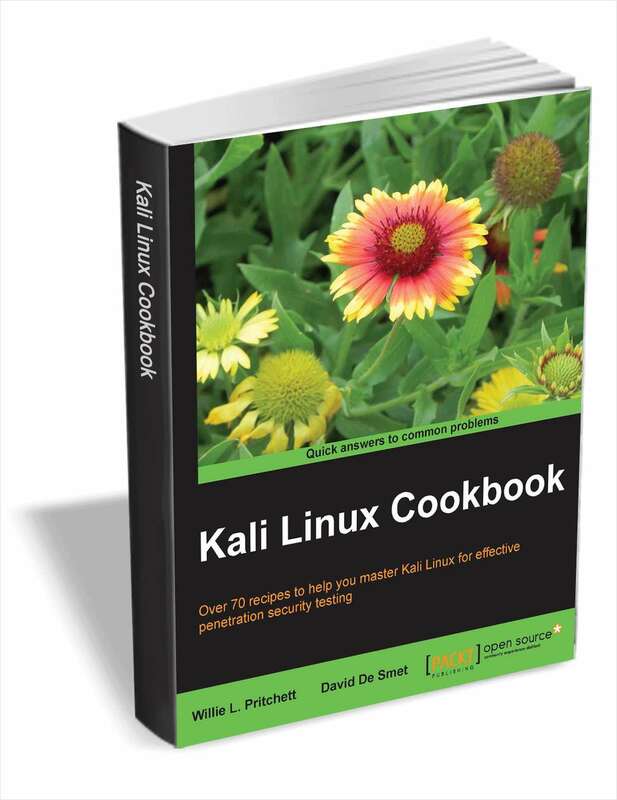 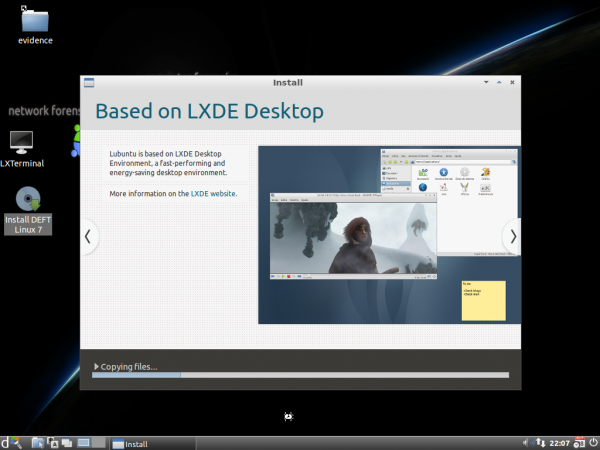 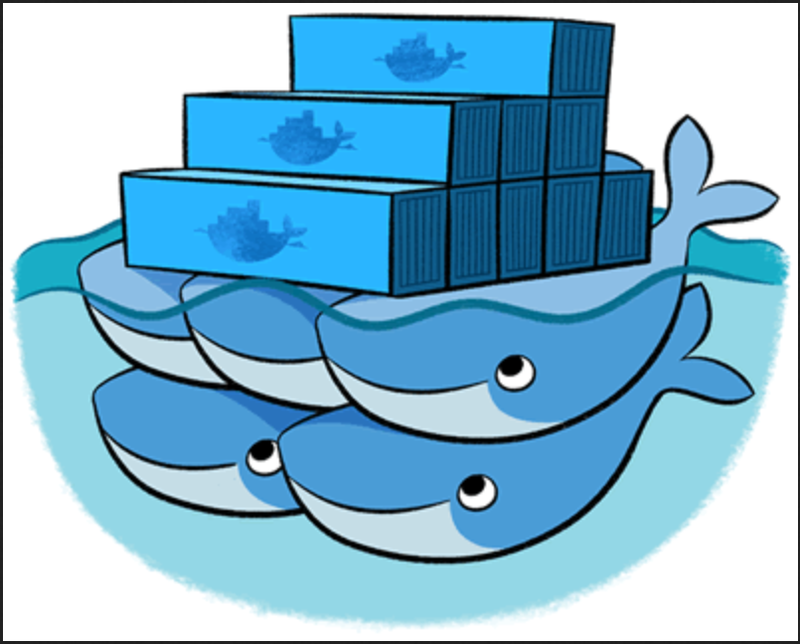 It is the third of such Linux distributions that has been written about on this website. 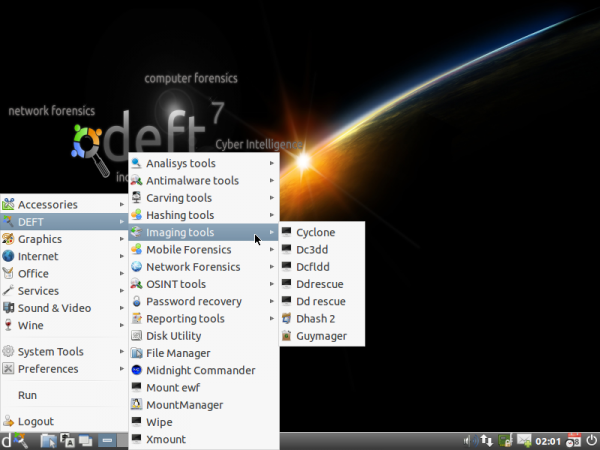 The other two, are Matrius and BackTrack. 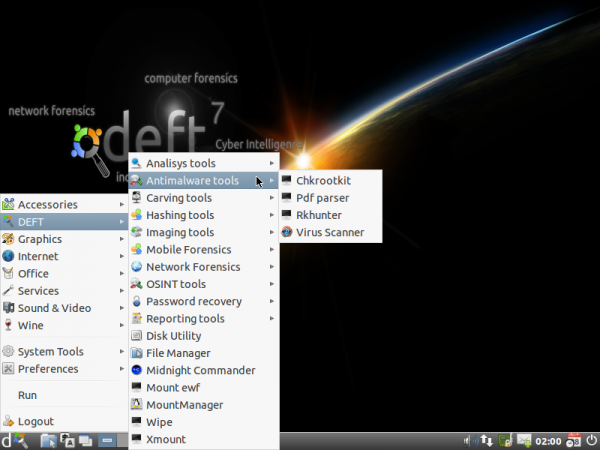 A distribution of this sort does not lend itself to normal reviews, so the best I can do is to provide screen shots that show the tools that are loaded on it. 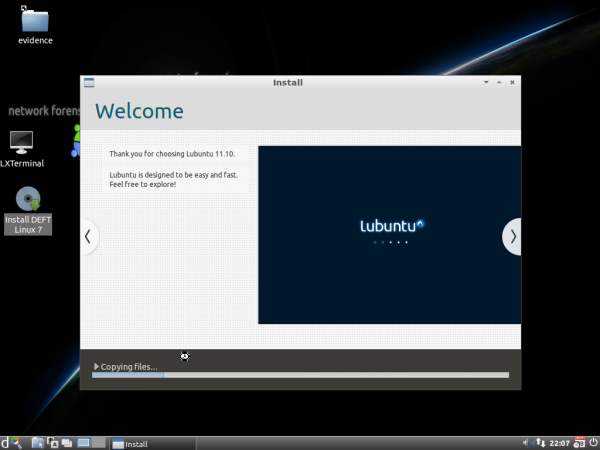 Like its parent distribution, it comes as a Live ISO installation image, weighing in at about 2.4 GB. 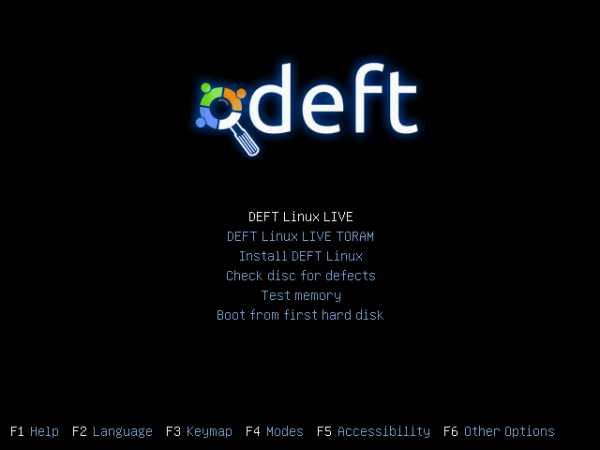 That makes it a LiveDVD image. 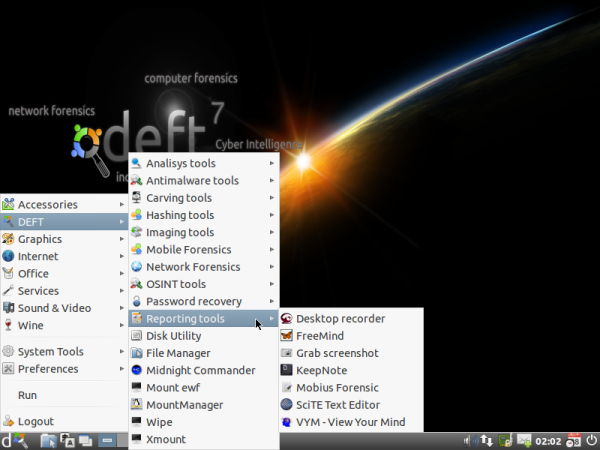 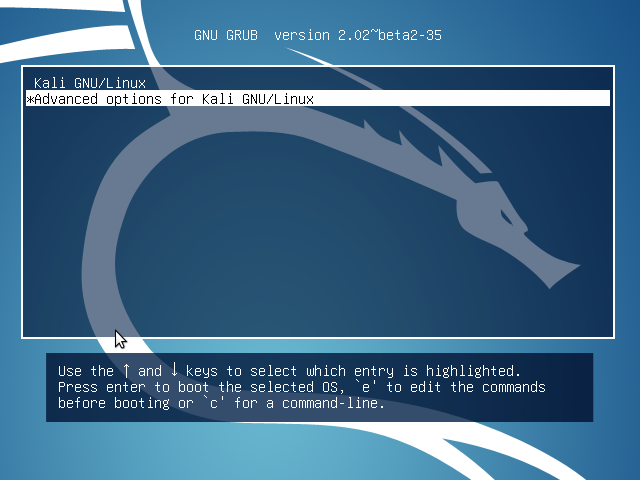 The screen shot below shows the boot menu. 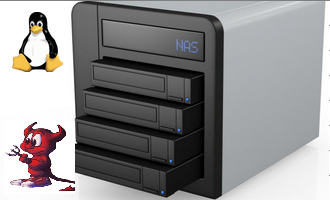 If you had any doubt what it is based on, here is evidence. 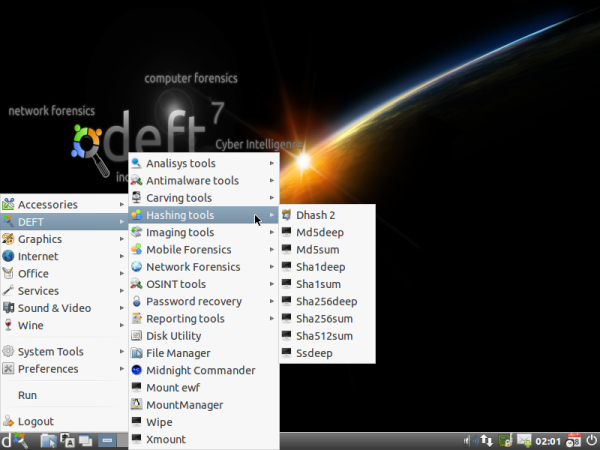 This screen shot shows a list of the Analysis tools. 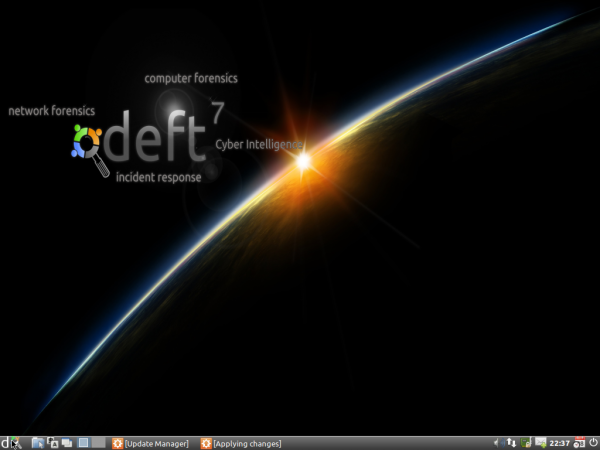 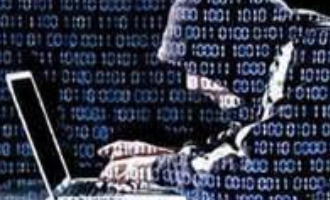 The latest release of DEFT, is DEFT 7.1. 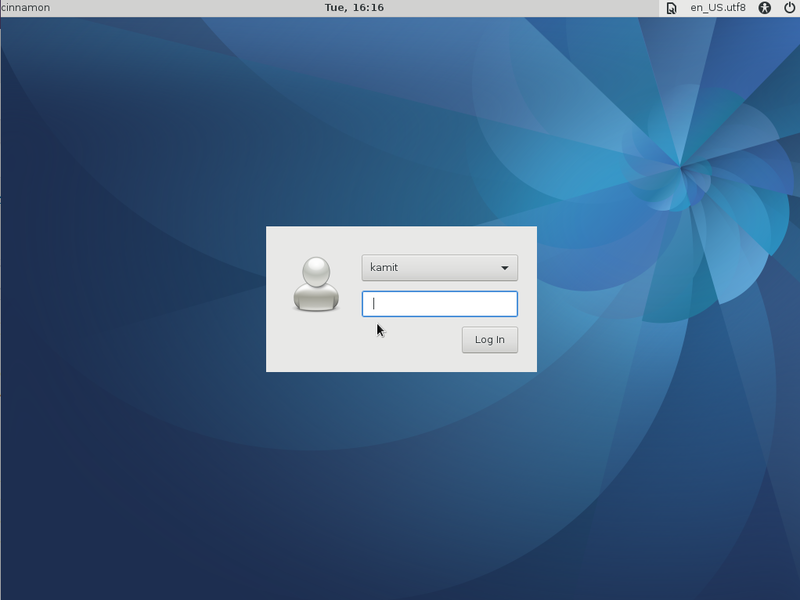 If you want to take it for a test drive, you may download a LiveDVD installation image from here. 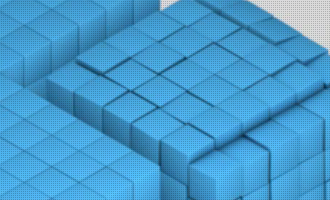 Visit the project’s home page.